If you’ve decided to sell a house, you’ll likely prepare for potential buyers by organizing and cleaning the rooms. However, the deciding factor for many buyers could be the way you’ve staged the home instead of the actual cleanliness. Staging not only makes the home appear more aesthetically-pleasing, but it also gives the buyers an idea of how they can place their furniture and make the space their own. 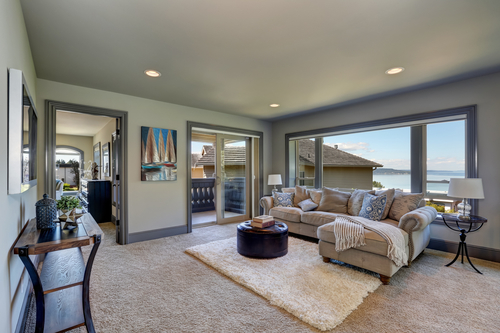 Below are three home-staging mistakes to avoid making if you’re selling a house. When you stage and sell a house, you want to attract as many buyers as possible. If you paint the walls a bright purple or install busy wallpaper, the decor will only appeal to a small group of people, which then limits your buyer pool. Instead, stick to a neutral color scheme, such as light beige, to keep buyers from getting distracted by the decor choices. It also allows buyers to focus on the floor plan and enables them to envision their own furniture in the space. If you have to keep wall-to-wall carpeting, make sure to hire a professional cleaning company that can thoroughly wash it. Carpet is notorious for collecting odors and stains that can immediately cause you to lose buyers. You might benefit from ripping up some of the carpet and sticking to hardwood or tile flooring. There might even be more attractive flooring underneath the carpet. Then, use area rugs to make the space feel cozy and warm. If you don’t use carpet at all, your home could feel unfinished and uninviting. The first impression of your home’s exterior is what will bring buyers inside. Curb appeal is everything. Replace plants and greenery that are struggling and make sure the lawn is freshly cut. The backyard should also be full of colorful plants that invite buyers to head outside. You should also bring plants indoors to make your home appear more lively. For example, place orchids in bathrooms and larger plants in living rooms. When you’re ready to stage and sell a house, the agents at Wright Real Estate Co in Ronan, Montana, will provide you with reliable and trustworthy real estate services. With more than 40 years of combined experience, their team has a reputation for being a high-quality and dependable western Montana real estate agency. Their office is small, so you’ll always receive personalized attention and feel confident in your options, whether you’re buying or selling a property. They also have unmatched knowledge of the Montana real estate market and will work tirelessly to find the property you need, regardless of your budget. Give them a call at (406) 676-8610 to buy or sell a house, or visit their website to learn more about their seasoned agents.